Inbound organizations own the future of business. Unfortunately, many leaders are still stuck in outdated, short-sighted business models. But these old school thinkers could be your competitors, who you can leave in the dust when you jump into inbound. All your employees are in full alignment. The customer is in the center of all your business practices. You're building relationships in a human, impactful way. Revenue is a major focal point for every team. In the past (and still the present for many), companies accept the limitations that come with a siloed business. Marketing just gets the leads, sales closes deals, and service makes customers happy. They settle for these teams staying in their own worlds with minimal contact. From an agency standpoint, we see this all the time. There's a big focus on ensuring that the marketing foundation is in place. Of course, this is important to ask, but there's a bigger picture to consider. Now, as the world's first inbound agency, we strive to help companies look at the whole organization and to find what's working and what is not in every aspect. For example, are there gaps in your sales collateral? Do you need to revise sales processes? 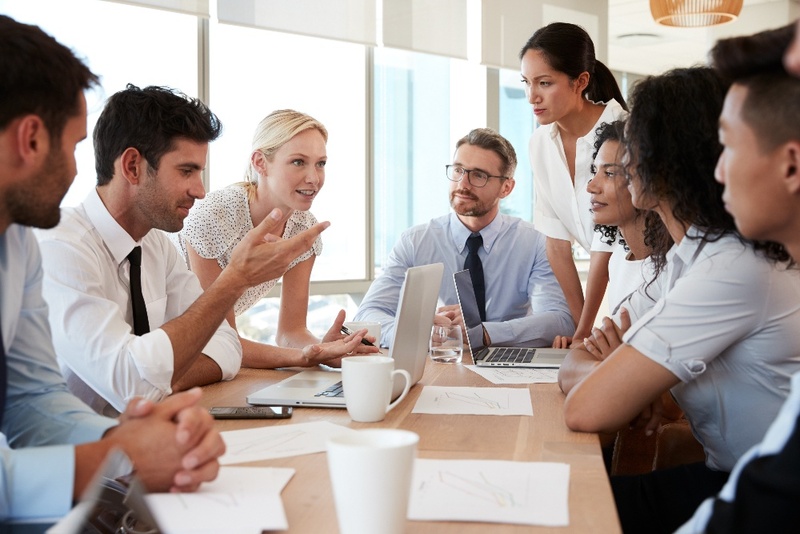 Is your team trained on inbound sales? How well are they managing their pipelines? These are just a few necessary questions companies fail to ask. If you're ready to build an effective inbound organization, you need to know what to avoid and what to do as a leader. You can't simply snap your fingers and get your team excited about changing processes. This is a major shift in mentality, and that shift needs to come. When starting with growing your inbound organization, whether you’re working with an agency or in-house teams, you need to start finding your gaps and adjusting your strategy to make up for them. Every change in business requires an honest look at your current situation. Otherwise, you’re flying blind without a clear direction on where the organization is headed. Without a starting point in mind, you can't get a clear set of goals or establish structured action plans. Your audit needs to look at every aspect of your organization. Look at your marketing, sales, and service teams with an inbound lens. This gives you a clear perspective on where your inbound gaps are. You might be surprised with what you find. For example, your marketing team might not be developing buyer personas or sticking to a consistent blog schedule. Your sales team might need inbound sales training to revise their processes, or they might have opportunities to implement impactful email templates and add chatbots to the pricing page. Your service team might not have a knowledge base in place, and their ticket management processes could be convoluted, which hurts customer satisfaction. Looking through an inbound lens shows you exactly what pieces you're missing. More importantly, an inbound lens is a revenue lens, showing you where you're overlooking opportunities for additional revenue growth. There is always resistance when things change on a large scale. All levels of your organization will be set in their ways. Introducing new processes and perspectives will likely cause employees to hesitate. They might even question the direction coming from leadership. Without an authority to educate your staff, your shift to inbound can be slow. The authority figures leading the charge could be people in senior leadership. No matter who or how many employees you appoint, you absolutely need someone calling the shots. But it shouldn't be a simple, "Do as I say" approach. Instead, educate employees by showing each team how inbound will impact your revenue streams. When this shift in mentality comes from leadership and is accompanied by informative information, your employees can better visualize how inbound will fuel revenue in their department. For example, show your service team how a knowledge base will reduce the amount of calls and tickets they'll need to address. Illustrate how a clean, organized CRM streamlines prospecting for sales and empowers them to increase their close rate in less time. This is easier said than done, I know, especially after auditing your organization and finding all the friction points slowing your revenue. But it's important to remember that you can't make all these big changes in one day. Improving your business in a holistic way takes some time. This is where your audit comes in handy. When you see every aspect that needs an inbound update, you're better equipped to prioritize your initiatives. For instance, your sales cycle might need to be shortened. A great solution for that is to leverage sales automation tools to both shorten the sales cycle and give your sales team more time to focus on nurturing prospects and closing deals. After listing your needs, meet with each team to set up clear next steps for upcoming quarters. This way, they understand the direction their team (and the rest of your company) is going. As you might expect, building a strategy and a budget with an agency that factors in all teams could lead to turf wars. Marketing might get territorial when you shift some resources to sales training or service automation setup. When teams continue striving to increase their budget, there will be a natural disconnection with your organization. And that will always hinder your ability to boost revenue. Teach employees how adding resources to sales and service benefits the entire organization. More importantly, show them how a human, helpful, and holistic strategy yields a superior customer experience. When your customers win, your whole team wins too.